We were cleaning our office and came across an unopened copy of Banshee: Season 1 on Blu-ray Disc and thought, Why not do a giveaway* mid-season of Season 4? 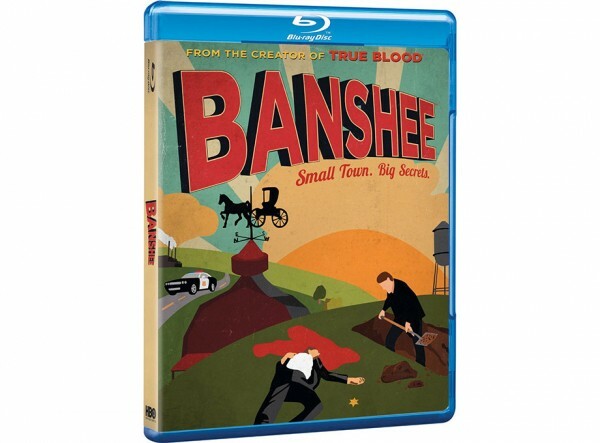 Whether you’re a Cinemax subscriber who’s been watching Banshee since Episode 1, or someone who has always wanted to see what the “Big Secrets” are all about, here’s a chance to get all Season 1 episodes on Blu-ray. Use the Rafflecopter entry form below to follow our Twitter account to enter. Remember, you must follow us so we can direct message you if you win! The 4-disc Blu-ray edition has a suggested retail value of $34.99. Good Luck! *US Residents only. Must be over 18 to enter. See full rules.